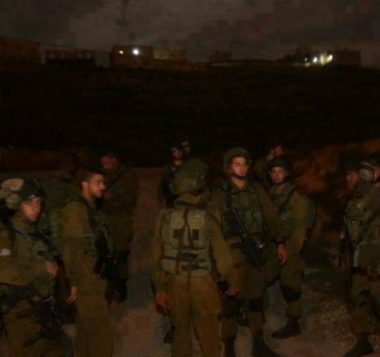 Israeli soldiers invaded, on Wednesday at dawn, many areas of the southern West Bank city of Hebron, and several surrounding towns, before breaking into and searching homes, and abducted two Palestinian men. The Hebron office of the Palestinian Prisoners’ Society (PPS) has reported that the soldiers invaded many homes in Surif town, northwest of Hebron, and abducted Fadi Ibrahim Ghneimat, 38. The PPS added that the soldiers also invaded and searched homes in Yatta town, south of Hebron, and abducted Shehada Mohammad Da’ajna, 50. In addition, the army invaded Ethna, as-Sammoa’ and ath-Thaheriyya towns, near Hebron, and installed many roadblocks, in the towns and around them, including on main roads leading to various communities. The soldiers stopped and searched dozens of cars, and interrogated many Palestinians while inspecting their ID cards.